Texas was always ground zero for groundbreaking blues guitarists. Stevie Ray Vaughan came out of that hallowed Lone Star tradition and injected a heady blast of rock into his savage attack. Not only were Freddy and Albert King, Johnny ‘Guitar' Watson, and Lonnie Mack among his heroes, Vaughan drew much from the sonic bombast of Jimi Hendrix, covering several of his best-known pieces. 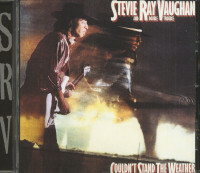 Born October 3, 1954 in Dallas, Stevie followed in his older brother Jimmie's footsteps as a blues guitarist. Stevie dropped out of high school, moved to Austin in 1972, and played in Krackerjack, the Nightcrawlers, and Paul Ray & the Cobras before forming the Triple Threat Revue with singing bassist W.C. Clark and vocalist Lou Ann Barton. 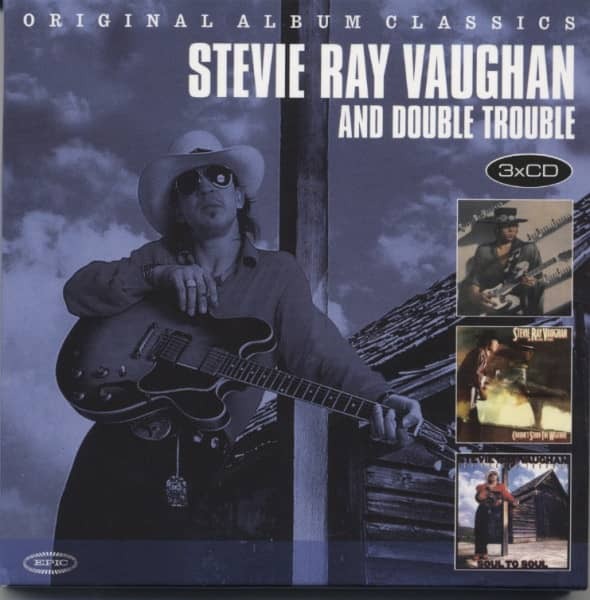 Several members left within a year, so Stevie and Lou Ann formed Double Trouble, named after Otis Rush's seminal '58 Cobra single. 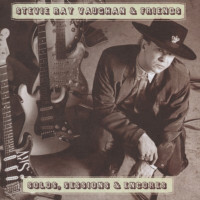 Barton soon split to join Roomful of Blues, so Stevie was Double Trouble's sole front man by the dawn of the 1980s. Former Atlantic Records honcho Jerry Wexler was so impressed with the group that he helped them nail down a slot at the '82 Montreux Jazz Festival—a real rarity for an unsigned band. David Bowie saw Vaughan there and hired him to play on Bowie's 1983 album ‘Let's Dance.' The band had cut a demo tape at Jackson Browne's L.A. studio that eventually found its way to legendary producer John Hammond, who helped get them signed to Epic Records. Double Trouble was by then Vaughan, bassist Tommy Shannon, and drummer Chris Layton, and their stripped-down Texas trio sound fairly leaped out of the grooves of their '83 Epic debut set ‘Texas Flood.' Its title track was the 1958 Duke classic by Larry Davis, and Stevie's own rocking Pride And Joy was one of the album's standouts, thanks to Vaughan's twangy, lightning-bolt axe and drawled vocal. Tragically, Vaughan was killed in a Wisconsin helicopter crash on August 27, 1990 after an appearance at Alpine Valley Music Theatre on a star-studded bill with Eric Clapton, Buddy Guy, and Robert Cray. 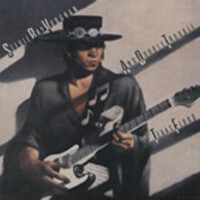 Judging from the countless Stevie Ray imitators still on the scene to this day, he'll never be forgotten. Customer evaluation for "Original Album Classics (3-CD)"